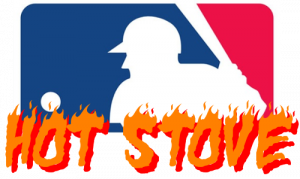 2011 MLB Hot Stove: Where Will the Top Free Agents Sign? Would you have it that MLB action actually heats up once the season commences? Well that's actually debatable but it is hot stove season starting Thursday when the top free agents hit the open market. Where do I think the top free agents sign for 2012? Prior to the Cardinals winning the World Series, I thought that Pujols would test the open market but ultimately re-sign with the Cardinals. Now I think it is even more of a foregone conclusion that he stays in the Gateway City. I don't think Pujols will find a better situation to be honest than where he is right, he's happy and the club is a consistent contender. Yes Tony La Russa retired and Pujols had a great relationship with him but he'll stay regardless. You would think that a guy like Fielder, who played one of the leading roles in one of the most fun clubs in baseball, would like to stay in Wisconsin. Not so. Fielder has shown all indications that he plans to chase the money and leave town. Of course many clubs desire his bat, such as Washington and Baltimore, but he really is a perfect fit in Chicago with the Cubs. The Cubs have a hole at first base, can throw a lot of cash at him, and Theo Epstein likes to bring in big time free agents in their twenties. Reyes is a very intriguing case. He's an electric player that swings a strong bat at an offensively deficient position and so many clubs would desire a tablesetter like him. But he is injury-prone and has had some trouble staying healthy. I don't see him re-signing to come back to the messy situation in Queens and I think a team that can afford him and sorely need is the Giants. The Giants got nothing from their shortstop position last year and he's a great fit in the small-ball style you have to play in the large AT&T Park. Wilson surely did not have a great postseason and he is more the beneficiary of a weak pitching market than as an ace, as I personally consider him more of a No. 2 starter. Many clubs are in sore need of some starting pitching, in fact who isn't, and this will probably turn into a bidding war. And you know who often wins those. Papelbon has a reputation of not being the most clutch closer in MLB and he proved that by blowing the save in the final game of the year which Boston needed to win to make the playoffs. That said, he is still one of the better closers in baseball and I just don't see him leaving the Sox. This is an interesting case of a player who wants to return to the team but the team could be better off if he left either via trade, to collect prospects, or via free agency, to collect draft picks as compensation. But still, I don't see Bell leaving the team, at least not until the trade deadline. Beltran rebounded to have a very strong 2011, especially after being traded to the Giants. He is getting older however so teams will be wary to give him a long-term contract. The Giants, with their weak offense, would love to have him back but I think he will join the Cubs, despite the fact that I said that Theo Epstein likes free agents younger than 30. But the market for outfielding bats is not great and after the failure of Kosuke Fukudome, the Cubs really need a solid bat in their order at a corner outfield spot. Please, do anybody really think that Big Papi will leave the Red Sox? C'mon man. Ramirez had a solid 2011 and has been a very consistent throughout his career (or at least with the Cubs) as a spot that is very important for offense. And no team had worse production from the hot corner offensively than the Miami Marlins, who also love Hispanic players for obvious reasons. And no I am not a racist. Rollins is not what he was in his prime but he is still a solid all-around player at the shortstop position. Teams' interest in Jose Reyes will likely overshadow their interest in Rollins, who will re-sign in Philadelphia under the radar.